Fit for Success: Getting bored? Luckily spring is right around the corner, so get outside and get moving! Running outside is SO much better than hearing the continuous pound of your feet on the treadmill.... hate that! If you don't like running (or don't feel like it), find a coffee shop and walk to it! That is my FAVORITE thing to do on the weekends- I get a 3-mile workout in while getting my favorite treat! Find a workout and chatting buddy and enjoy the beautiful weather! You won't even feel like you're working out :) Plus, its a great way to have a "girls day" without indulging in the high-calorie meals most restaurants offer. Don't want to leave your apartment? Try a video!! As 'old-school' as it sounds, workout videos are an awesome way to mix up your workout regimen. 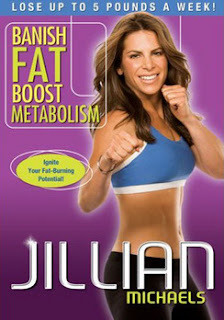 I have a collection of them, and my favorite are the Jillian Michaels videos! In fact, I just did one last night :) And if you realllllly don't feel like getting up, getting dressed, and getting out of the house, videos are perfect! Plus, they're only $10. Nice and cheap and you can do them over and over! Switch it up at the gym! If you get bored easily, switch exercise machines frequently! This is good for your muscles, and great to control your boredom! My adorable roomate taught me do to 20 minutes on the bike, 20 minutes on the elliptical, and 20 minutes walking at an incline on the treadmill! 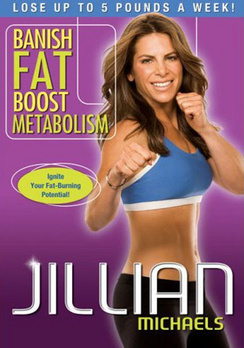 It works your whole bod and goes by quickly since you're switching machines. I also love to run for 30-40 minutes, then go in the dance studio and do a bunch of burpees, high knees, squats, push ups, you name it. Research gyms that you can go to and take a class! Whether it be spinning, zumba, or yoga, you will get a GREAT, painless workout! Most places make you pay around $10/class, which isn't terrible (especially if you're in dire need to switch up your workout). Taking classes are like my treat! Some gyms even have special deals for "first-time" members.... so go to all of the gyms until you've used up all of your "first-times" haha! Hope this helps! Keep up your workout routine and don't get bored! YOU CAN DO IT!!!! !